God and the Saints are known be causelessly compassionate. It means they show compassion and kindness without expecting anything in return. On the other hand, everybody in this world has some or other motive, some expectation behind their acts of generosity. If we pay some amount, say a thousand rupees to some shopkeeper, he will in return give us some articles of that value. we just call the shpokeeper and order things like saaris or garments of such and such price and the shopkeeper gets the items delivered at our homes. This is a generosity which has reciprocity behind it. As against that, the causeless generosity is one where nothing is expected in return. Aperson or any other living being who is bound by maya cannot this grace because they have not attained the supreme bliss. They cannot think beyond their own happiness. How can they do any good to others without any expectation? Both the Saints and God are ever blissful. They both are complete in themelves for ever. why, then, they need to do any work? Accordingly, as a rule, they need not even stand simply in front of these living beings, not to say of doing anything for them. There is no difference between God and Saints. The latter is god incarnate. 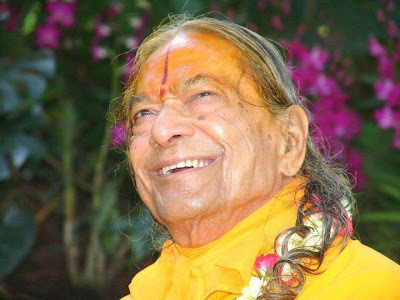 After a Saint has realized god, he inherits God's bliss, God' knowledge and everything else that we associate with God. Not only this, god becomes a servant of His devotees (saints). In the Bhagavatam, Shri Krishna has gone to the extent of saying that He follows His devotees wherever they go in order to collect the dust of their feet so that He gets purified.